I don't believe this crap, and that is putting it politely. The WB airing of the 4/26/00 episode was only 40 minutes long. Yes, you read that correctly, only 40 minutes. ONE THIRD of the hour is devoted to promos and commercials. Something needs to be done about this crap. Note: The closing theme will never be heard on The WB. The closing theme was NOT heard on the WB. They screwed the U.S. viewers, again. WARNING: The closing credit portion of the video was not seen on the WB. They screwed the U.S. viewers, again. Not only that, they used the color version of the Imagine and Touchstone logos. The episode used B&W versions, to match the episode. NOTE: All movies are 352x240, 29.97 fps, 16-bit, 44.1 kHz, stereo. 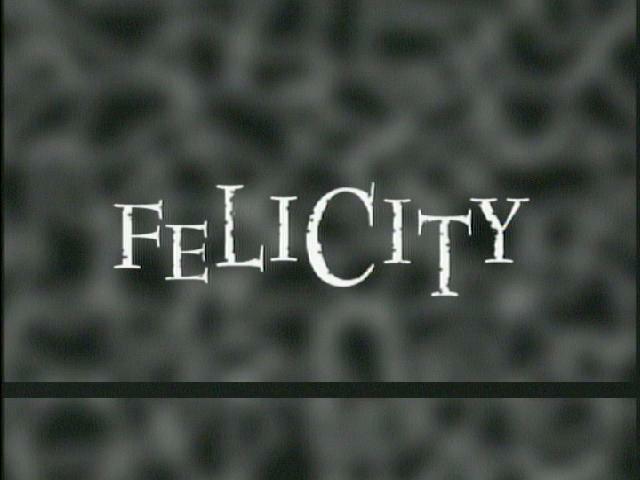 Felicity, its name, logo and photos are a trademark and copyright of Touchstone Television (818-560-5734). Last modified on Monday, 21-Feb-2011 02:51:25 CST.